Played in Rimini, Italy from 9th - 11th September, the inaugural FIBA 3x3 Youth World Championships attracted 36 boys and 24 girls teams from 40 countries. 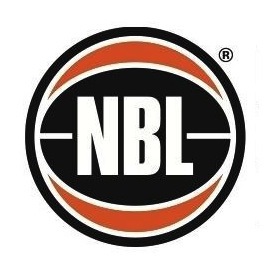 Every basketball federation in the world was invited to participate, with New Zealand sending a men's team, Australia sent a women's team and Guam sent a men's and women's team. Congratulations to the Oceania Federations who provided this wonderful opportunity to their players. The New Zealand men claimed the World title in the dying seconds of the game over Bulgaria 19-18. As well as the teams competition there were a number of individual competitions, with Guam's Jarred Meno taking the silver medal in the shootout competition, and Australia's Olivia Thompson winning the bronze medal in the same competition for women. New Zealand men played Latvia, Canada, Turkey, Germany, Romania, England, Japan and Nepal in the round games, then Czech Republic, Serbia, Italy and finally Bulgaria in the finals rounds. 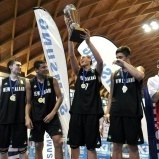 New Zealand's team was Tai Webster, James Ashby, Reuben Te Rangi and Isaac Fotu. Guam men met the Netherlands, USA, Russia, Croatia, South Africa, Czech Republic, Denmark and Bulgaria in the rounds, and Nepal and Slovenia in the finals round, finishing the competition in 34th place. Guam's team was Valiant Borja, Michal Sakazaki, Jarred Meno and John Ilao. Guam women met Sri Lanka, Sweden, USA, India and Italy in the round games, and Tunisia and Syria in the finals to finish in 24th place. Guam's team was Keli Benevente, Kristin Oberiano, Samantha Frais and Gemilie Ilao. Australia women played England, Russia, Tunisia, Greece and Canada in the rounds, and England and Italy in the final rounds to finish in 5th place. Asutralia's team was Tessa Lavey, Mikhaela Donnelly, Olivia Thompson and Darcee Garbin. Showing that many of the Federations are using the Oceania events as a development pathway, 3 of the New Zealand men, 3 of the Guam men and all 4 of the Australian women have represented their country at previous Oceania events.